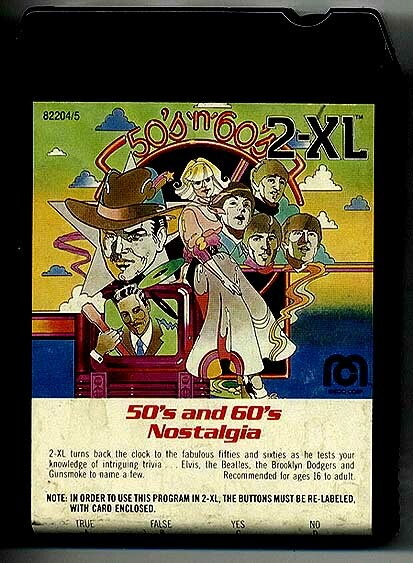 World of 2-XL: Mego 2-XL Program "50's & 60's Nostalgia"
Although this program used two pieces of music from "Storyland: 2-XL and the Time Machine," it oddly enough didn't use the other music from that program that Frank and I always referred to as "50s and 60s Nostalgia." I mean, come on. Listen to it. How could they not use this piece on this program? Other memorable things about this program include 2-XL saying "I apologize for all the mean things I ever said to you." Now THAT'S worth hearing!